Welcome 2019! Wir starten das Jahr am Samstag, 26. 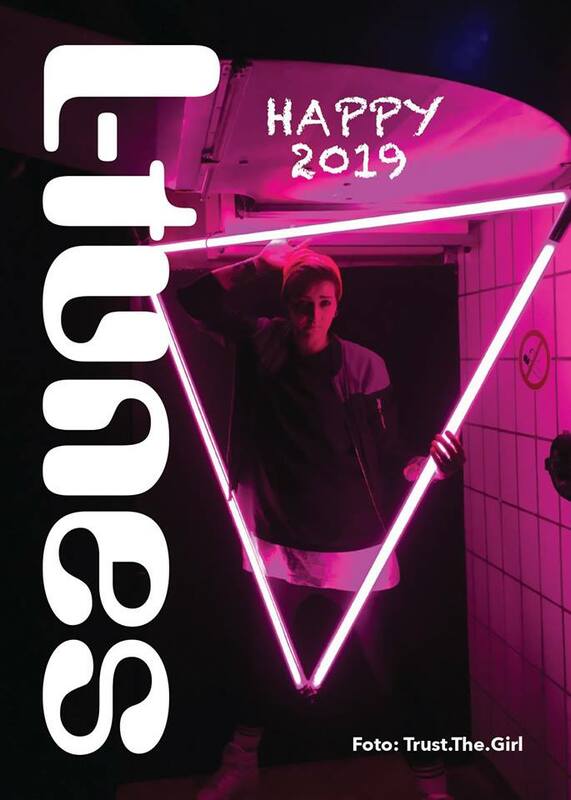 JANUAR 2019 mit einem fabelhaft tanzwilden Live-Gig und tollen DJs! MaryQ (Leipzig), Freshfluke, Marie Leão, Sara Moshiri und Trust.The.Girl! On Behalf Of Rosy haben bei L-tunes Premiere! Dance through the boom of ice, the bang about hobs and sprites. Jump into the the storm of bodies. Track to zizzling places in the mid of bright lights in big cities. Whoever you are, strike off to wherever you want outright for you – the place to be.